One of my favorite Benjamin Graham investments to review is his early career investment in the Northern Pipeline. In 1911, the Supreme Court ordered that the Standard Oil Trust be broken into over fifty separate entities, and he began to study the various pipelines that were being split up into eight entities. 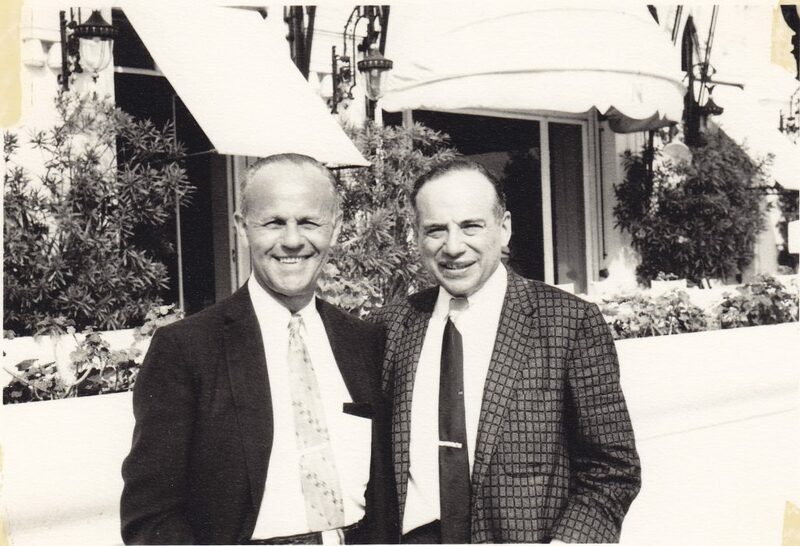 Jerry Newman, left, with Benjamin Graham, right, circa 1950s. Since the pipelines amounted to less than one-seventh of the overall Standard Oil empire, and since the Northern Pipeline was just one of the eight pipeline entities becoming its own after the breakup, the Standard Oil income statements do not classify Northern Pipeline according to anything that would resemble a balance sheet … Read the rest of this article! William Danforth—He founded Purina Mills, the company that would soon become Ralston-Purina, in St. Louis, Missouri, during the summer of 1894. As of the early 2000s, Ralston-Purina is now a part of Nestle, combining two of my favorite companies (the only other merger of equal beauty during my lifetime occurred when Procter & Gamble picked up Gillette). The reason why I like William Danforth so much is because he understands the connection between business and the rest of your life (I have a tendency to gravitate towards the investor/philosopher types). He is the gentleman that wrote the book “I Dare You”, which I plug on this site as the summer read of … Read the rest of this article! This distinction rarely comes up, but the United States’ Prohibition against alcohol between 1920 and 1933 did not actually ban the consumption and possession of alcohol, but rather, the manufacture and sale of alcohol. In the early months of Prohibition, saloons would claim that they stockpiled beer from before Prohibition’s effective date, … Read the rest of this article! What is a reason why stock prices of a particular company falls down lower than historical norms would suggest? One reason is when there is a general feeling in the air that, Amazon, Alphabet, or any of the remaining wave of new-age tech companies has a change of disrupting the company’s industry and core profit engine. But, by the same token, it also stands to reason that one of the best places to find an investment is an industry where the investor community believes that disruption is likely to occur but, in fact, will not cause the scope of disruption that is anticipated. This is arguably one of the most important investing principles … Read the rest of this article!